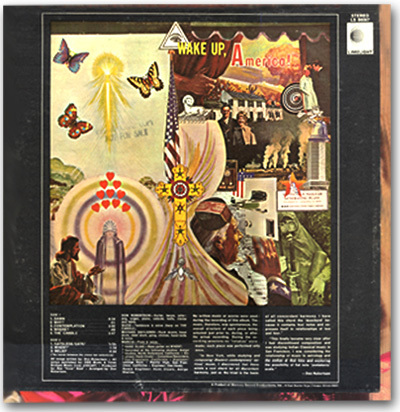 The back cover of the album "Dawn"
"It began in 1968, when I first discovered the duochord: the four-note root chord of negative music. I realized then, that the then-current discordant style of classical music was based on this negative chord. The next stage in musical evolution, therefore, would necessarily be a return to music based on concords: the familiar three-note major and minor chords of traditional harmony. "In 1969, my first record-album Dawn was released by a major label. On this album, I presented the two sides of music: the positive - based on the triangle (the major and minor chords) and the negative - based on the square (the duochord). My music is about returning to the harmonic principles of nature - shifting from the discordant music created during the 20th century to music that is based on concord and pure harmony."